What determines how successful your SEO will be? Speaking from personal experience, having your website rank well on Google, where your prospects find you, instead of you finding them, is a great feeling. And while everyone WANTS their website to rank well in search engines, not many people want to invest the TIME it takes to make that happen. And your company doesn't have to be the biggest in the industry to rank well in Google. So if you think your company, or website, is too small to benefit from SEO, you'd be wrong. 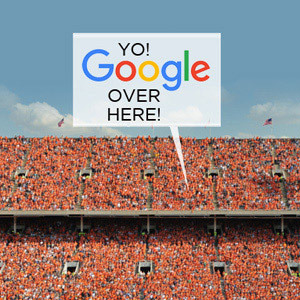 No company is too small to benefit from SEO. If your current website doesn't have SEO built into it, it's never too late to start. Sure, it’ll definitely take a while to start showing up in Google search results, but it could happen. How long will it take? It depends. And what, might you say, does it depends on? Glad you asked! Following are the elements that will determine how quickly, and how well, your website might start to show up in Google's search results. What determines how well your SEO works? How much SEO your competitors are doing. We can tell how much SEO others are doing by researching their websites. How serious you are with your blogging, how frequently you post, and how diligent you're using keywords. News posts are a real opportunity to help your prospects learn more about your business, promotions and specials. And eventually, it can get you to show up in Google’s organic search results. But doing a new site, it’ll take a while catch up, so you’ll have to dedicate some resources every other week, or at least once a month, to start ranking in Google. Using keywords in the headlines, subheads and body copy. Also a way to help the synapses of the internet start to associate certain keywords with your website. The keyword competition: you may never be able to rank on page one for some keywords if they’re competitive, broad phrases. That’s why finding the right niche keywords will be critical. The market you’re in. The smaller the market, the easier it is to rank for your keywords. Being found in Columbus is easier than being found in Ohio, which is easier than being found regionally or nationally. Adding keywords to your Page Titles and Meta Descriptions to the right areas of your blogs. To see what Page Titles and Meta Descriptions are and how they’re used by Google to rank your website, watch the first 40 seconds of this video. Naming the images in your website with keywords. When naming images, you must use the right keywords to help the synapses of the internet start to associate keywords in images with your website. Using the Alternative Text fields for sight-impaired individuals. Whether you have sight-impaired visitors to your website or not, doing this brings your site up to W3C standards. And when you do that, search engines give you better rankings. With Wordpress and Drupal, two of the main web-building software available today. There are no limitations to the SEO capabilities with these two content management systems. That said, a web designer who knows their SEO stuff can build a more SEO-friendly site in SquareSpace, than a novice who knows nothing about SEO, and builds a website in Wordpress. SEO (search engine optimization), are the things that happen on your website. It’s an ongoing process that takes months to show results. And since you currently have no SEO on your website, you have a lot of catching up to do. However, it’s never too late to start. off your website. Setting up back links and keeping up with social media are a big part, and we can help with that as well.